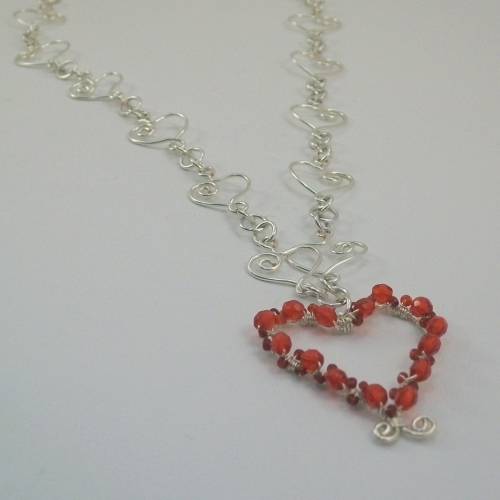 This heart necklace and pendant has been lovingly created with attention to detail. 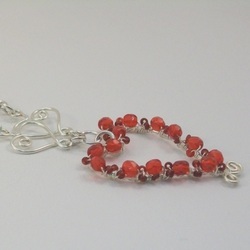 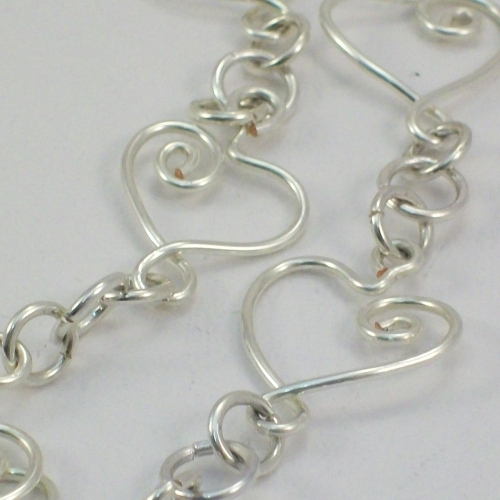 Each heart shaped link on the necklace has been crafted by hand using silver plated wire. The pendant is again unique, totally handmade and one of a kind, using Czech polished beads and tiny seed beads wire wrapped around a heart shaped frame. 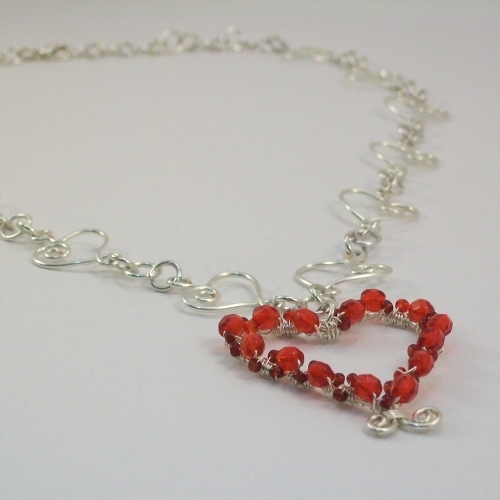 The necklace is 20" in length with a lobster claw fastening. The pendant is 4cm x 3.5cm wide. 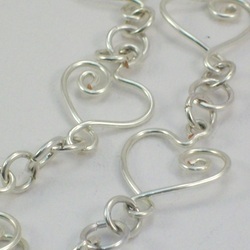 Item is silver plated and nickel free.